Are you looking for a new or used Chevy Silverado 1500 pickup? 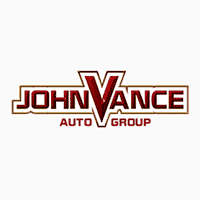 The Vance Auto Group has been serving Oklahoma for over thirty years. We are known for our honest friendly customer service. We have six locations in central Oklahoma to find the perfect preowned Chevy Silverado to meet your needs. Our new Silverado pickups are at our Vance Chevy Buick GMC dealer in Perry, OK. We are about 34 minutes from Stillwater, OK; 35 minutes from Enid, OK; and 31 minutes from Guthrie, OK. We are committed to our community and our customers. It’s worth the drive to get the kind of neighborly small town service we offer with a big city inventory. Discover why the Chevy Silverado 1500 received the award as the most dependable large light-duty pickup, along with the Best-in-class Available V-8 horse power and the Best-in-Class Available V-8 fuel economy. If you need to get things done, you want a Silverado with its 12,500 lb. available towing capacity. The Silverado 1500 is strong, capable and built to stand the test of time. There are more satisfied Silverado pickup owners still on the road than any other pickup. Whether you need a pickup for work or for a weekend at the lake, Silverado can pull its weight. The Silverado was chosen best-in-class V-8Max trailering capability. Built with high-strength steel, it offers a strong durable pickup box and safe trailering technologies that warns you when your trailer is swaying. Perhaps you need to haul a crew, a load of hay, business equipment, a boat, or your precious family. You can count on Chevy Silverado to protect and serve you for years to come. Check out the style, safety and amenities of the Silverado with its roll-formed steel pickup box flooring that’s stronger, lighter and more reliable than a traditional stamped steel bed. It has nine cross members to provide lateral support. The hydraulic body mounts enhance comfort while hauling, towing and tackling rough terrain. Its innovative technology offers the latest media input to keep informed on the road while its comfort stylish interior design makes it a pleasure to drive. Check out our inventory on our website. Call and speak with one of our friendly- “not-pushy” sales agents. Come visit us in Perry to test-drive a new Chevy Silverado. Remember, we are a short drive from Guthrie, Enid and Stillwater, Oklahoma. We can check our other locations for available preowned Silverado pickups. Customer satisfaction is our #1 goal. We’ve been serving Oklahoma for over thirty years!